Can you solve the scramble? The Mystify board game is a fun party game for 2 to 20 players, ages 12 to adult. All players race against each other to solve mystery scrambles of names, words and numbers. Mystify is a game that challenges you to solve word and number scrambles. Everyone plays at the same time - so everyone is involved in the game at every minute. No wallflowers here! You could divide up into teams to play, but the real fun comes when everyone in the room is individually scribbling on their pad, trying to be the first to solve the scramble and yell out their success to the rest of the players. There are five different categories of scrambles, covering a wide range of subjects. Players don't have to be experts in any special category in order to solve the scramble. The scramble is a commonly-known word or date. It could be a person, a place, an item or an important date. 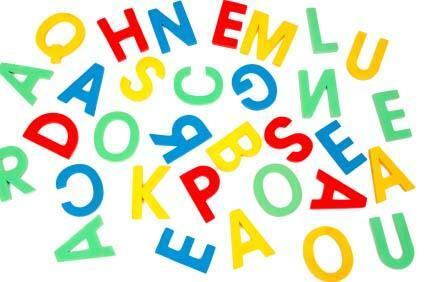 The players are given 30 seconds to race against each other to unscramble the letters and solve the scramble. Each player can yell out his guess at any time. If a player correctly solves the scramble, he advances on the board. If players don't solve the scramble, the play continues and everyone races to find the answer before the 30-second timer announces the end of the round. Each player can have only one guess. A game usually takes one to two hours to play. The person who solves the most scrambles is the winner. 100% participation - Everyone plays every round, and at the same time, so it is a great icebreaker and gets everyone involved in the fun. Easy to learn - There are no difficult rules or scoring systems like you might find at many game tournaments. Easy to play - Each player just needs a pencil and a piece of paper. No special interests or skills needed - Even if all party attendees are not into word jumbles or Sudoku-type games, they still have fun competing or watching the other party-goers compete to be the first one to solve the scramble. The Mystify board game would be a great game to take to a game night or party or to give to the party host as a gift.